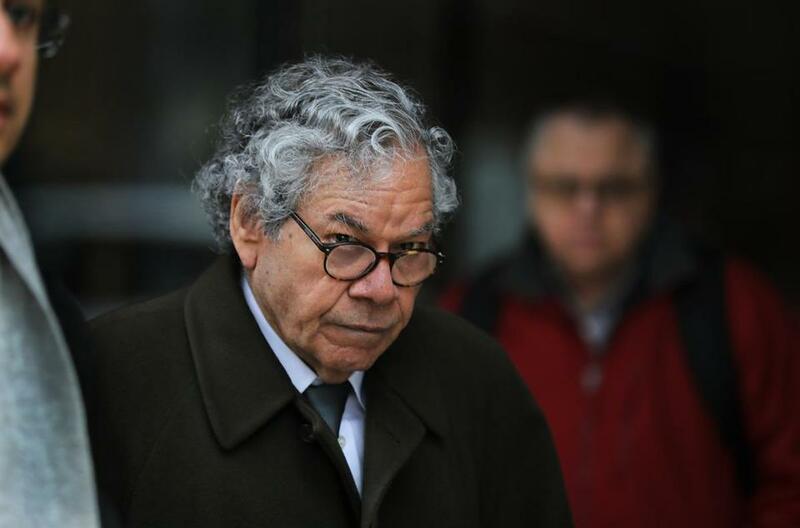 Insys Therapeutics founder John Kapoor left federal court in Boston earlier in the trial. Lawyers for five former drug company executives urged a jury Friday to acquit them of charges that they bribed doctors to prescribe an opioid painkiller, saying their clients were being railroaded by the real culprits: former coworkers who cut deals with prosecutors. In the second and final day of closing arguments in the landmark federal racketeering trial in Boston, attorneys for the founder of Insys Therapeutics and four former executives said cooperating witnesses deserved most of the blame for wrongdoing involving Subsys, a powerful under-the-tongue fentanyl spray approved in 2012 to treat cancer pain. In particular, attorneys for Insys’ founder, John N. Kapoor, and the other defendants blamed the government’s star witness, Alec Burlakoff. A brash pharmaceutical marketing veteran, Burlakoff was hired to oversee Subsys sales in 2012 and came up with a plan to funnel what prosecutors said were phony “speaking fees’’ to doctors who agreed to prescribe the drug. Kapoor’s attorney, Beth Wilkinson, said prosecutors had provided almost no evidence that Kapoor knew the details of, or had anything to do with, the purported scheme. That scheme allegedly required doctors to generate at least twice as much in revenue for Insys from prescriptions each wrote than he or she got from the firm in payoffs. But in an argument rebutting defense attorneys, Assistant US Attorney Fred Wyshak said it was “preposterous” for the lawyers to claim their clients were in the dark or not responsible for the actions of underlings. Burlakoff pleaded guilty in November to a racketeering charge and agreed to testify against his former colleagues. He awaits sentencing, as do several other former Insys employees who cut plea deals with prosecutors in connection with the alleged conspiracy. The trial, which has run 10 weeks, is believed to be the first criminal trial of pharmaceutical executives who marketed an opioid painkiller since the nation’s deadly opioid epidemic began. Subsys was approved by the Food and Drug Administration for severe cancer pain. Yet the government presented several witnesses who testified that they had been prescribed the drug for neck, back, and neurological pain and didn’t have cancer. At least two patients said they suffered hallucinations while taking Subsys. The government alleges that Insys executives paid eight practitioners alone more than $1.1 million to get them to prescribe Subsys. One of the key elements in the alleged scheme was the company’s creation of a reimbursement center in Arizona where Insys employees lied to insurers to get them to cover Subsys for patients without cancer. Prosecution witnesses said employees at the center learned a “spiel” to tell insurers, including that patients had tried other painkillers with no relief or had difficulty swallowing. Prosecutors say that one of the defendants, Michael Gurry, the former vice president of managed markets, spearheaded the alleged insurance fraud. But Gurry’s lawyer, Tracy Miner, said that his subordinate, Elizabeth Gurrieri, a former manager of reimbursement services, was to blame for the lies fed to insurers. Gurrieri testified for the government as part of a plea deal. In addition to Kapoor, Simon, and Gurry, the two other defendants are Sunrise Lee and Joseph Rowan, both former regional sales directors. The jury is expected to begin deliberating Monday morning.